The Body of this work contains the Authorized King James Version, selected notes, and the Working Translation for the New Testament books of Acts through Revelation. The information in this eBook is the same as the information found in the hard-bound books entitled A Journey through the Acts and Epistles Volumes 1 and 2, which are also available for purchase on this website. The price of this eBook is $45.00. Before ordering this eBook, customers must first set up a Continuing in the Scriptures account, if they have not already done so. To set up an account click "My Account" on the top left-hand corner of this page. The ePub format is a widely used eBook standard. 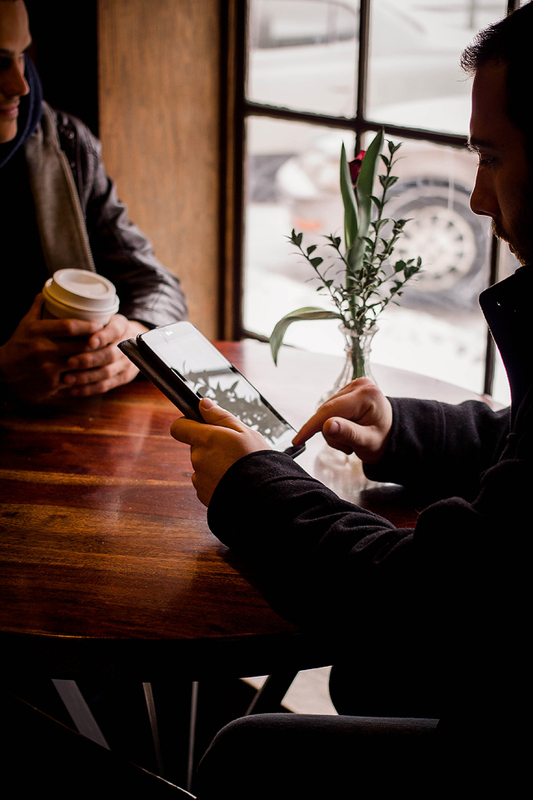 The ePub standard is supported by many eBook readers on a wide variety of devices. Because there is such a large quantity of software manufacturers that make ePub readers, one should be aware that the ePub version of A Journey through the Acts and Epistles Volumes 1 and 2 has a number of features imbedded into the book that cause difficulties for some of the more simplistic software ePub readers when they display the content. In other words, ePub readers do not always display ePub books similarly. Some features exposed in A Journey through the Acts and Epistles Volumes 1 and 2 ePub eBook and which a good ePub reader should support include the ability to display tables having multiple columns (King James Version and Working Translation columns,) the ability to use hyperlinks for footnote navigation, the ability to use text searches (both King James Version and Working Translation columns,) and the ability to display Unicode Greek characters in the Variant Reading section. If any of these features do not appear to function properly the problem may be with the particular ePub reader software (not the ePub file,) in which case you may consider using a different ePub reader. Please be aware that not all font sets support Unicode characters. Therefore, if the Greek characters in the Variant Readings section appear as boxes or random English characters, the ePub reader's default font may need to be changed to a font set that does support Unicode Greek characters. Times New Roman and Serif are examples of font sets that support Unicode Greek characters. The following list may serve to assist as a starting point for one to find ePub software readers for use on a particular device. The Purchase of the ePub A Journey through the Acts and Epistles, which contains Volumes 1 and 2 of A Journey through the Acts and Epistles, is a license, not a sale of the ePub or its content. When you purchase this ePub you are granted personal, noncommercial use according to these Considerations and Terms of Agreement. Walter J. Cummins and Daniel J. Bader have granted Scripture Consulting Conferences Inc. the right to distribute licensed copies of this ePub to individuals through its bookstore, Continuing in the Scriptures. You, the individual, upon purchase are granted a personal non-exclusive and non-transferable license to A Journey through the Acts and Epistles Volumes 1 and 2 ePub. The body of this work contains the Authorized King James Version, which is currently in public domain. It also contains selected notes and the Working Translation, which are protected by USA copyright laws. Permission to quote passages of the Working Translation in teachings or in writing with notice of copyright is granted to you when you agree to these terms and conditions and receive your licensed download of this ePub. Quotations of the Working Translation may be either with or without the information included in square brackets and superscript braces. All published quotations must include a notice of copyright, which is included in the front matter of each volume of A Journey through the Acts and Epistles. You may use this ePub on your own personal devices. You may NOT make, distribute, modify, or transfer unauthorized copies of this licensed ePub either in whole or in part, except as expressly permitted by this Agreement. You are granted the right to access all content of this licensed ePub on your own personal devices. You may make and save bookmarks, highlights, and notes as provided by the functionality of whatever application you choose for reading this ePub. You agree to protect this licensed ePub form unauthorized reproduction, distribution, modification, or transfer. You acknowledge that the use of A Journey through the Acts and Epistles Volumes 1 and 2 ePub is for your personal use. Click the link below to go to the Considerations and Terms of Agreement check box, which is regarded as your electronic signature indicating that you have read and agree to these Considerations and Terms of Agreement.